Mind has an important place in the human body, because whatever works a man does, he does it according to the indication of his mind or following his mind. Until our mind is healthy, we cannot do any work properly. The people whose mind is not healthy, they do not face the different situation in life easily. They always live in mental trouble or problem. Mental weakness and specific changes are the cause of it. Today the life of man is so much complicated. He has to face difficulties and disappointment at every step. He does not adjust himself in the society because of mental troubles. It is important for a man to be mentally healthy in such condition. The man, whose mental health is good, adjusts himself in the material and social situation. It is important in the human life to pay attention towards the mental health like physical health. Physical health and mental health affect one another. 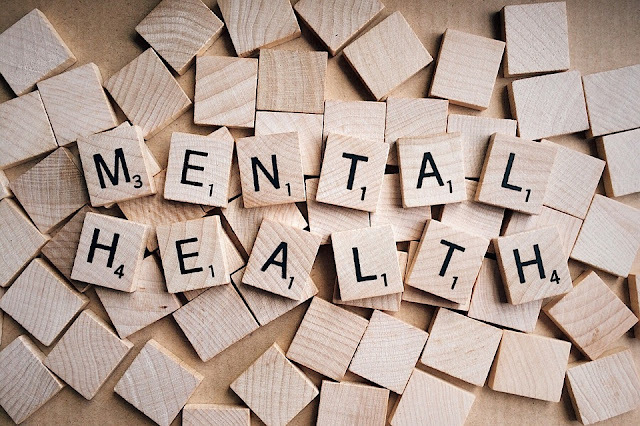 So under education psychology, the study of mental health keeps important place, because for making the education process success, the mental health of both, teacher and student, after thinking the nature of science, the factor influencing the mental health and throwing light on the efforts of progressing in the mental health, we will discuss the importance of mental health. Mental health has been given the name of ‘Mental Remedy’. Mental hygiene means the science of keeping mind healthy. As the physical hygiene is related to the health of body, so the mental hygiene is related to mental health. According to this statement, it is important in this type of educational process that teacher and student both should be mentally healthy. If there is no mental health the child does not get success in acquiring education and teacher does not success in the educational work, so it necessary to think over the causes of their mental disease and the solution of maintaining good mental health. 1. The Effect of Heredity—Some children are mentally weak because of faulty heredity, as lack of intelligence or nerve related diseases are found. Thus he is mentally ill.
2. Effect of Physical Health—Physical health is closely related mental health. Patient feels complication with the adjustment of new situations. 3. Effect of Physical Defect—Accident or diseases cause physical defect or illness. Physical defects generate the feeling of deficiency in the children. The feeling of deficiency generates the problem of adjustment with their friends and society for them. The Environment of Family—If there is personal conflict and dispute in the family, it affects the child badly. Poverty of Family—If the economical condition of family is not well, the children are irritated and strict, they have the feeling of lack of security, lack of confidence and deficiency. All these things affect health badly. The Strict Disciplines of Family—If the children are scolded over a trivial matter, the sense of deficiency create in them and they are mentally unhealthy in such kinds of environment. Inappropriate Favor of the Family—If the parent in the family like other child very much and neglects one, this child is affected badly. The child, who is ignored, has the feeling of jealousy with the other children of family. The disputing tendency generates in them. They always try to harm other. The Beloved Child of Parent—Parents loves more the child, who is only or hardly alive or if the parents are rich. This thing also harms the child. They have lack of self confidence and they are unable to face the difficulties of life. The Effect of High Morals of Parent—In the family whose parents have high morals and ideals, and always hope for their children to follow those morals in their conduct. Stressing under the burden of these morals and ideals children have to face these difficulties. They always move in the world of reality, away from this world. Thus they could not solve the problems of this world. The feelings of complexities create in them. There is always conflict in their mind between reality and ideal. Consequently their nervous system is always affected. The diseases of nerve generate in them. 5. Psychological Causes—In spite of having above causes of mental sickness, some causes are such psychological, which help in the growth of mental sickness and mental ailments, which are called mental conflict, emotional tension, feeling complexities, anxiety, mental weakness and tiredness. All these things have been described earlier. All these affect badly on the mental health of child. 6. Society Related Causes—The defective organization and environment of the society also affect the mentality of child. The mental health of the children of unorganized society are not well, because there is always fight, dispute and different kinds of evils are presented in the environment of this society. The children, who grow in these types of environment, are very, emotional unstable, full of jealous, hate, chaos and conduct less. The racial and religious conflict of society, the feeling of high and low, the feeling of jealousy, hatred, incorporation in the different community, generate the feeling of mental tension in the mind of children. The condition of this type of society and environment is harmful for the mental health of children. The Environment of College—If there is so much control on the student in the college, his desires are stressed, or it is not allowed him to take part in the co curricular activities of college, this generates obstacle in his mind. There is always the environment of fear and strict discipline, child is always mentally unhealthy. Defective Syllabus—If child does not get the syllabus according to his interest and ability, he does not take interest in it and gets failure in the examination. And his mental health is affected. When he does not learn the subject-syllabus, he is always worried and fearful that he will be punished. Such child lives in the mental depression and victim of criminal tendency. And often the runs away from the college. In Proper Education Method—If teacher uses un-psychological method, not paying attention on the individual difference, it is difficult for child to get knowledge and when he does not learn anything he gets disappointed. Defective Examination-System—In the current times subjective tests are popular, in which the real ability and progress of student is not known, on account of having many defects in the examination, child does not get success in the class and fortunately unworthy student gets success with high marks. In this condition intelligent student is discouraged and lose self confidence. And dull child does not take interest in the study. Such types of children cannot adjust themselves with the society. Feeling of Competition—Competition feeling, which is the feeling of jealousy, hatred, also affects the mental health of children. Effect of Personality of Teacher—If teacher has emotional instability, he does not behave well with the student. His behavior is strict and full of partiality. Then the mind of child is not balanced. Child is either more proud or wicked or always lives in fear. And becomes the victim of feeling of complexity. Mind has an important place in the human body, because whatever works a man does, he does it according to the indication of his mind or following his mind. Until our mind is healthy, we cannot do any work properly. The men, whose mental health is good, enable to adjust themselves with the material and social situations in the world. Under the education psychology, the remedy of personality development is pondered upon. The development of man is possible, when the mind and body is completely healthy, because body and mind are closely related. According to this statement, it is important in this type of educational process that teacher and student both should be mentally healthy. If there is no mental health the child does not get success in acquiring education and teacher does not success in the educational work.